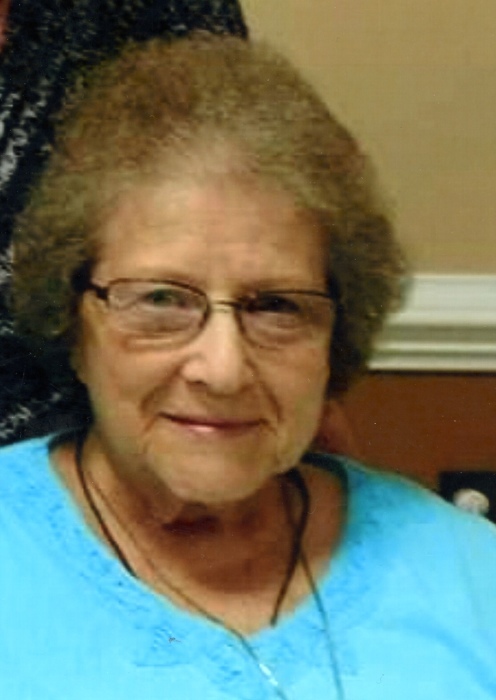 Betty M. Clark, 85, of Raystown Road, Everett, went to be with her Lord and Savior at 8:05 AM on Sunday, April 14, 2019 at Donahoe Manor Nursing Home, Bedford. Mrs. Clark was born in Chaneysville, PA on August 14, 1933, daughter of the late Herman and Nellie (Hook) Redinger. On June 6, 1953 Betty married Guy O. Clark. He preceded her in death on April 9, 2001. She is survived by Son- Ronald L. husband of Cindy (Hess) Clark, Clearville; Daughter- Diana L. widow of James M. Hood, Everett; Granddaughter- Christie (Clark) wife of Fred Shumaker; Granddaughter- Malorie (Clark) wife of Matthew Price; Granddaughter- Kristen (Hood) wife of George Shawl; Grandson- Kodie husband of Jolene (Nave) Clark; Granddaughter- Alicia (Hood) wife of Wesley Grimes; Grandson- Matthew Hood and Grandson- Michael Hood; Sister- Barbara Adams as well as 10 great grandchildren. Betty is preceded in death by Brothers- Roy Means, Herman Redinger, Jr. and Floyd Redinger. Mrs. Clark worked as a seamstress for Lion Manufacture from August 1951- 1953 and returned back to Lion to work in 1955-1986. She also worked for London Fog in Handcock, MD from 1988-1993. Betty was a life-long farm wife who was a great cook and had a green thumb. She was a lifetime member of Pleasant Union Church Clearville, PA.
Friends will be received on Friday, April 19, 2019 from 4-8PM at Jack H. Geisel Funeral Home, Inc., Everett and Saturday, April 20, 2019 from 10-11AM at Pleasant Union Church Clearville, PA.
A funeral service will be held at Pleasant Union Church, Clearville at 11:00 AM on Saturday, April 20, 2019 with Pastor Lyle Mellott and Pastor Jane Metzker officiating. Interment at Pleasant Union Cemetery, Clearville. Arrangements entrusted to Jack H. Geisel Funeral Home, Inc., Everett.